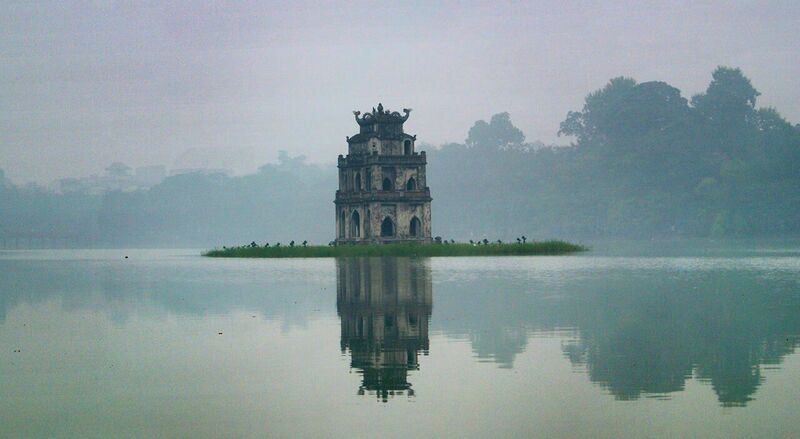 In the middle of the lake is an ancient Turtle Tower. 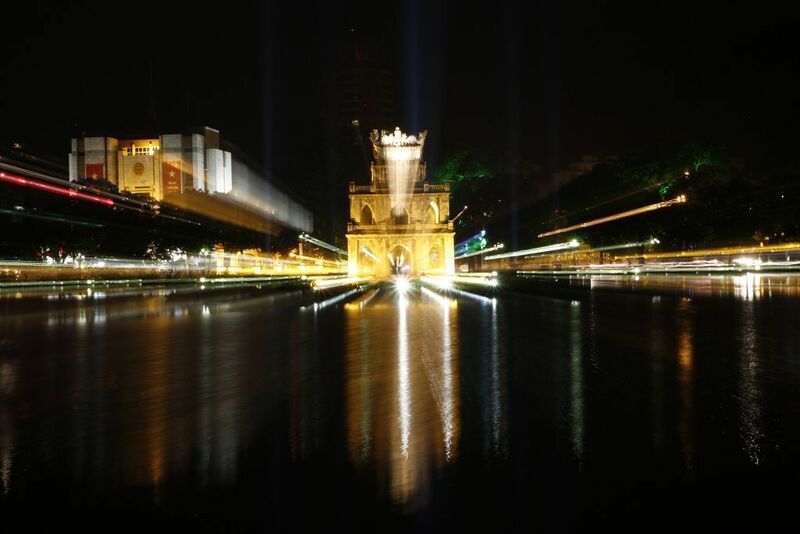 Turtle Tower has become a symbol of a part of Hanoi soul. 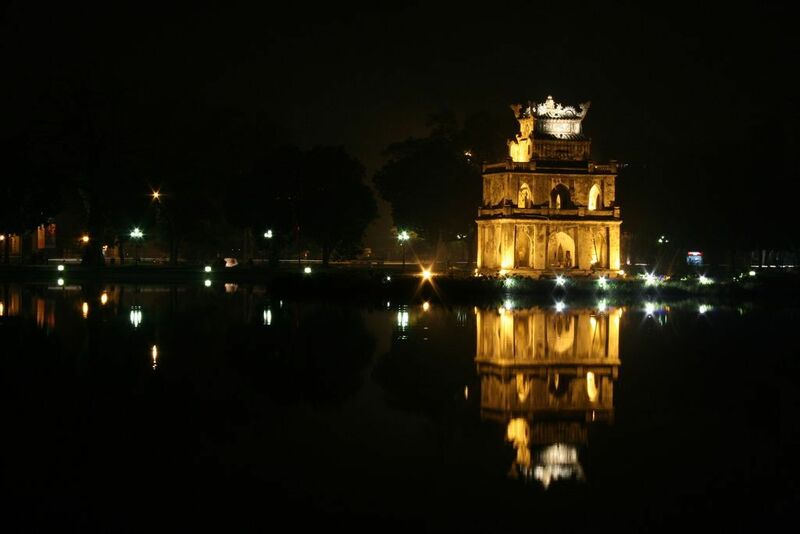 The Turtle Tower image is always very simple but divine and associated with the mind of the Vietnamese people. According to the legend, the Turtle Tower was built on the Turtle mound where king Le Thanh Tong built a Dieu Dai to go fishing. 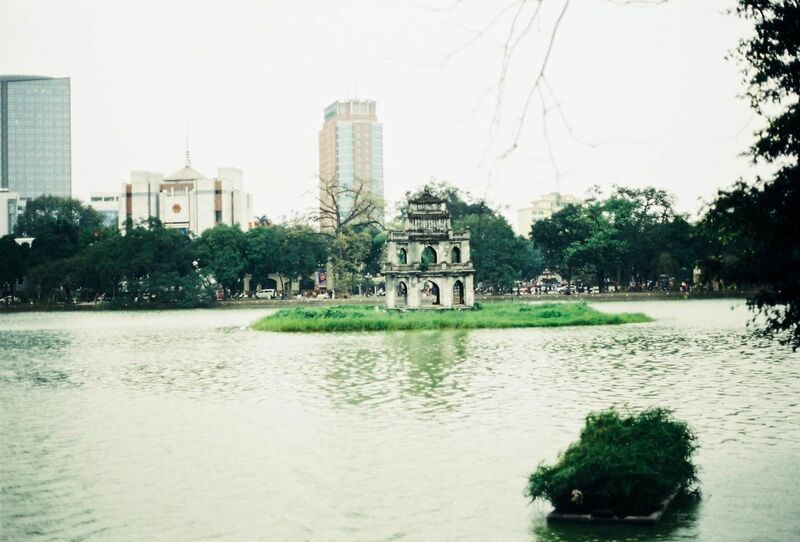 If Hoan Kiem lake is compared a fresh flower bouquet in the heart of Hanoi, the Turtle Tower is the most beautiful and meaningful one. The Turtle Tower is beautiful because the top of the tower was designed with the whole heart and talent of architectural artists. The top of the tower was designed with the whole heart and talent of architectural artists. The tower is a combination of European and Asian architectural styles – with two gothic doors but still remains the curved roof of Vietnam architecture. 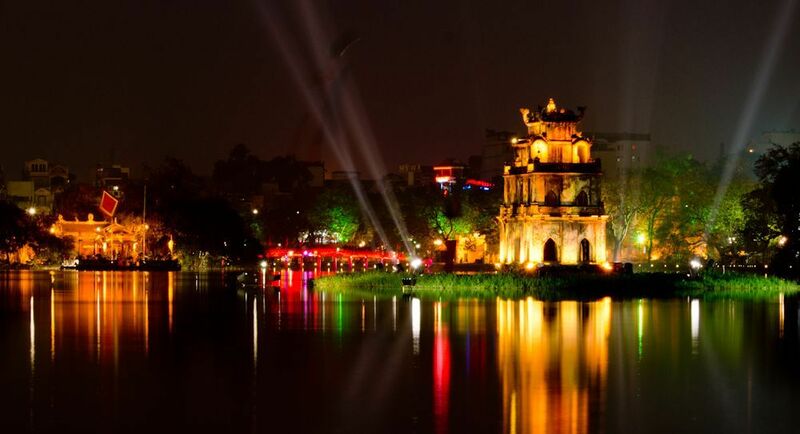 The Tower is not only in the middle position of Hoan Kiem lake, but also the center of Hanoi past and now, such this position is in harmony with the landscape surroundings, time and people here. The cross- architectural styles of French architecture, indigenous architecture and landscape surroundings create a unique beauty of the Turtle Tower that can not find elsewhere. The most important thing is that the Turtle Tower did and is existing not only tangible proof but also the spirit of Hanoi people in particular and Vietnam in general.